JACKSONVILLE, Fla. - At Trinity Christian running back Marcus Crowley is the most explosive player in the area. 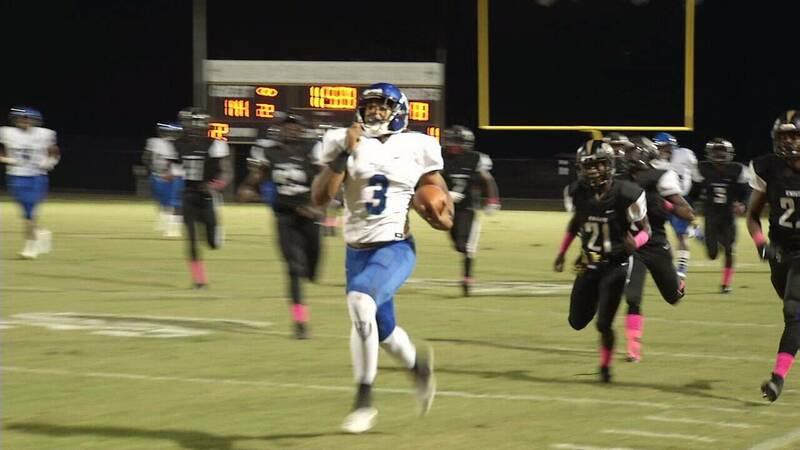 Last week against Bolles the Ohio State commit had touchdown runs of 60, 39 and 90 yards. He's up to almost 2,200 yards this season. With an average of 11.2 yards per carry. Trinity head coach Verlon Dorminey has a long list of talented players who’ve gone on to star in college and the NFL. Earlier this week he explained what makes Crowley so special. The Conquerors as a team have been nearly unstoppable. They’re 13-0 and have outscored their opponents by 368 points. Last season Trinity was knocked out in the Regional Finals of the playoffs and they’ve used that shortcoming as motivation for this year. Trinity will host North Marion on Friday night at 7:30 p.m.